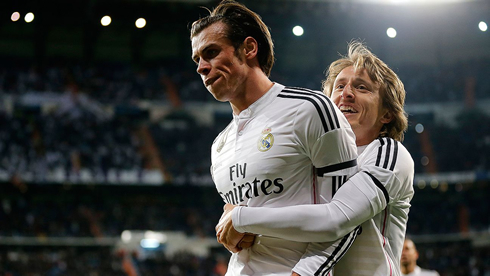 ﻿ Can Real Madrid cope without Bale and Modric? 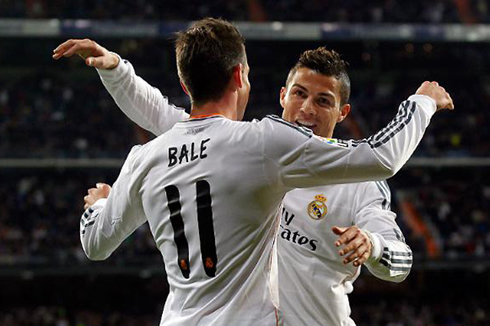 20.04.2015 » Can Real Madrid cope without Bale and Modric? Last weekend's win over Malaga might end up being costlier than what Ancelotti certainly intended. The Merengues lost Gareth Bale and Luka Modric to injury just a few days away from the return leg of the Champions League quarter-finals clash against Atletico Madrid and it's now very hard to anticipate how these setbacks will affect the team. The latest reports coming from Madrid and that came out earlier this Monday are suggesting that Luka Modric will be sidelined for a period between 3 to 6 weeks, while Gareth Bale is expected to be out for 2 to 3 weeks. The immediate consequence from this misfortune is that Real Madrid will have to find a way to go through the next 5-6 games without these two key players. If losing Bale right on the 2nd minute of the game against Malaga wouldn't exactly be reason enough for the Madridismo to be much worried, the same can't be said when Luka Modric limped off the pitch around the 60th minute. The Croatian has been one of the main responsibles for Madrid's good football this season and few would dare to disagree that, together with Cristiano Ronaldo, he's probably the most influential player in this team. As if not having Modric and Bale for the next few weeks wasn't enough, the short-term situation might be even more problematic for Carlo Ancelotti. Karim Benzema has been training with limitations since last week and his availability for next Wednesday's game against Atletico Madrid is still in doubt. On top of that, Marcelo is also suspended due to yellow card accumulation, which will force the Merengues to also make a few adjustments in their defensive sector. Nevertheless, Fábio Coentrão comes up as the most logical choice to take the Brazilian's left-back spot and that shouldn't constitute a weakness. However and the question in everyone's mind is about how Ancelotti will adjust his tactics now that he won't be able to count with both Modric and Gareth Bale at the same time. While Bale and Benzema can probably have their direct replacements found in either Chicharito or Jesé Rodríguez, there's also the option of simply pulling one of them back so the team can play in a 4-4-2 formation and eventually make room for a midfielder like Isco. Even though with these changes Madrid will most likely lose some quality in the last attacking third, at least they'll keep their balance throughout the different periods of the game. Replacing Modric and keeping the team's balance is going to be a lot tougher though... Neither Illarramendi, Sami Khedira, nor Lucas Silva are in the same league of the former Tottenham midfielder and the only player who can probably be capable of filling in his shoes right now is Isco. With Gareth Bale out, the Spaniard was already highly likely to be Ancelotti's first choice to jump into his starting eleven against Atletico, but with Modric missing too, it's hard to predict what the Italian manager will do next. Let's not get fooled.... Modric's dynamism and passing quality will surely be missed more than anyone else, not only against Atletico, but also in the upcoming games. Hopefully, Ancelotti has learned something valuable from the previous experience he has had without Modric and which lasted for roughly 4 months. There's now a big expectation to see how the team will adapt to this new reality and how much it will impact the rest of the season. 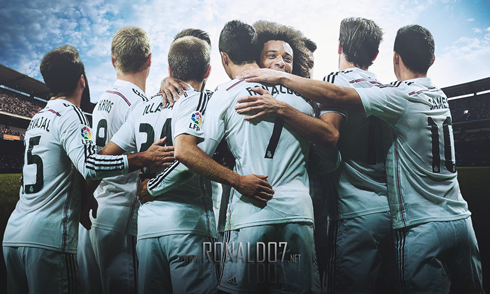 Cristiano Ronaldo next game will be for the Spanish League against Malaga, on the 22nd of April of 2015. You can watch Juventus live stream, Real Madrid v Atletico Madrid, Barcelona vs PSG, Zenit vs Sevilla, Monaco vs Juventus, and Bayern Munchen vs Porto, all matches provided from our football streaming live game pages.